Discount available! 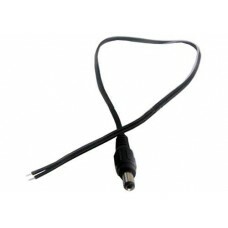 Recommend Cable length 30 cm with male power plug DC 5,5x2,1 to your friends and get your Discount. Cable length 30 cm with male power plug DC 5,5x2,1 mm and positive wire and negative of the other side.